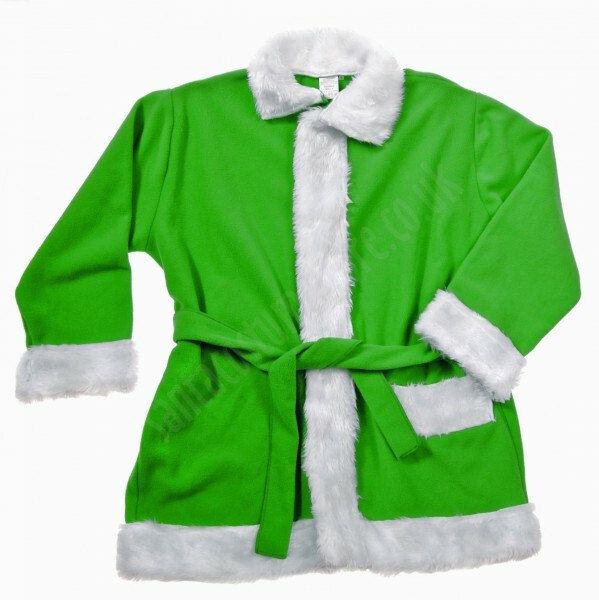 The green Santa suit was designed for people who’d like a little change to the standard Santa image, as well as for companies who’d thus like to highlight their logo. 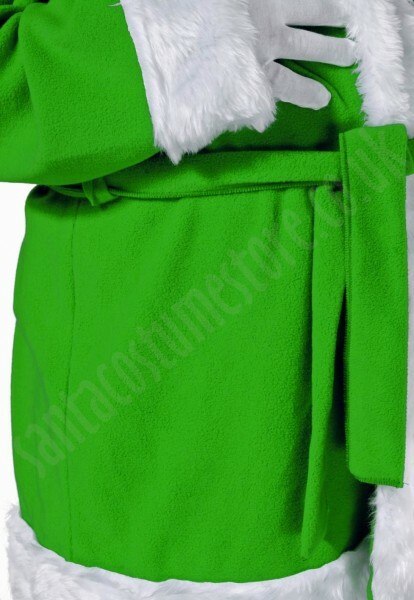 The entire suit is made of soft, strong fleece, fringed with a smart 3" (7 cm) wide snow-white band of faux fur (1" (2 cm) pile), lending the costume that special merry, festive appearance. 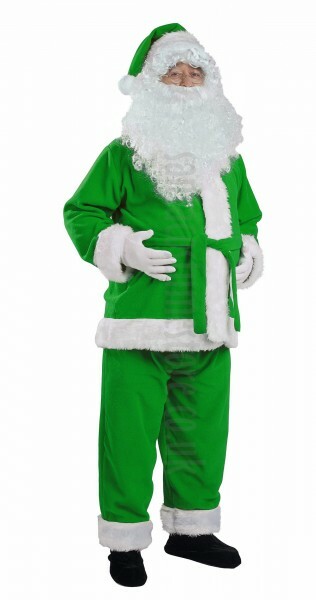 The green Santa suit comprises trousers, jacket and hat. The suit comes in a universal size suitable for people ranging in height from 5'3" to 6'7" (1.6 to 2.0 m) (for details click here). Santa Jacket fastened with a zip, two very strong Velcro patches and a belt, making sure it won’t come undone when Santa’s at work! Featuring a convenient outside pocket for those essential extras, e.g. sweets for children; comes with a fleece belt. 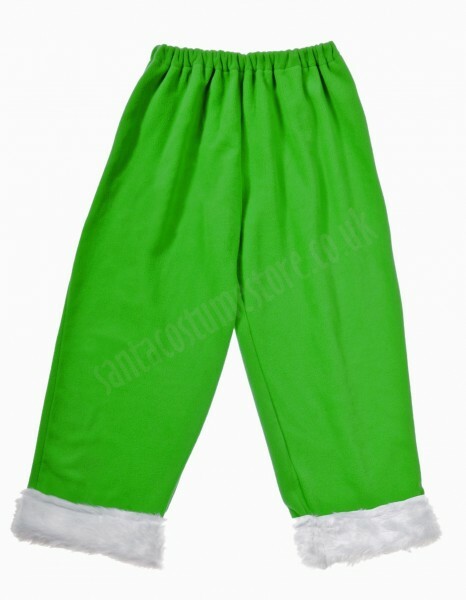 Santa Trousers fitted with elastic at the waist, and thus suiting anybody’s figure. Santa Hat - an essential part of the suit no Santa would ever be seen without. Made of fleece and trimmed with white faux fur, finished with an impressive fluffy 3" (7 cm) pompon. PANTONE® CODE: In the Pantone® Fashion, Home & Interiors colour chart, this costume's colour is given as 16-6340 TPG. We can embroider any design you want onto our costumes. Contact us for a quote. Should you be interested in buying Santa suits in other colours, please contact us. NB: this product does not include the beard, wig, boots, gloves and glasses shown in the photos. 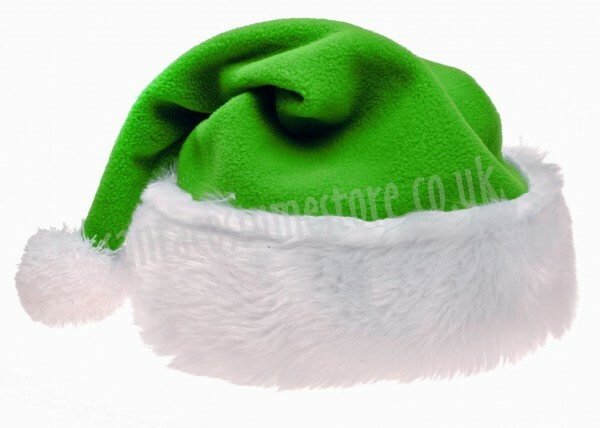 For such items, see our Santa beards & wigs and Sacks, boots, bells, belts, glasses, gloves section.